This incredible new design takes the sonic concept of Artist 20 to the next level of power and versatility. The marriage of the unique Hamstead Artist preamp stage with a new, fixed bias, twin EL34 output stage, brings not only extra volume and clean headroom, but enhanced dynamic range and overall flexibility, whilst retaining all the essential characteristics that our Artist Series amplifiers are renowned for. Artist 60 builds upon the immensely versatile and popular Artist 20, bringing all the depth of tonal options, response, and touch sensitivity as you'd expect. Our 60 watt output stage then takes this to a new level. This isn't the Artist reinvented, but the Artist with more; effortlessly taking you from beautiful glassy cleans through to classic rock drive, and anywhere in-between. Never has there been such a deceptively simple amplifier with so many tonal options. Artist 60 features our unique Output Power selection which enables operation in 60, 20, or 7 watt modes. From the sheer volume and presence of 60 watts, with huge amounts of clean headroom on tap, to the more easily driven 20 watt mode (similar to Artist 20); we then turn to the truly rocking 7 watt mode, giving you real low-power output valve sag. Crank up the gain for characterful splatty breakup. Artist 60+RT features our popular Signature Reverb & Tremolo circuits. Both are switchable on the front panel, or via the included footswitch. You can also change the position of these effects in the chain with a flick of a switch. 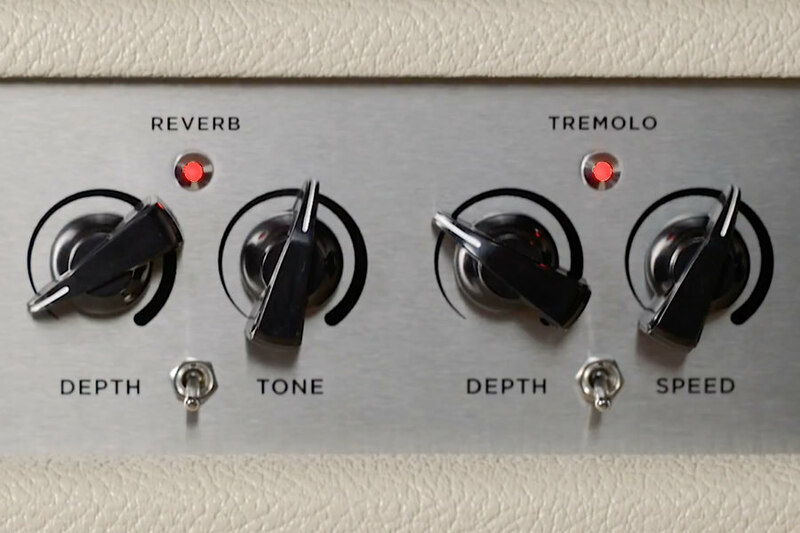 The Reverb features depth and tone controls, giving you full control from bright & twangy, to more dark, ambient sounds. The Tremolo has depth and speed controls, using analogue control of the signal to give a smooth, even sweep at any speed. Artist 60+RT includes a foot-switchable 'Voice' mode that adds presence and bite to the upper midrange - perfect for solos and cutting through the mix. Look to the control panel and you'll find a three-position Bright switch tailors the amp even more to flavour the player’s guitar of choice, serving up warmth, chime or bite as required. Hi and Lo preamp gain presets are selectable on the rear panel. Lo gain giving more preamp head room for cleaner tones, with Hi gain doing exactly what it says on the tin: adding more touch sensitive drive as the preamp is pushed into overdrive. "Artist 60 is the guitarist's equivalent of driving an Aston Martin or Ferrari. It's everything that I could have hoped for." "The Artist is remarkable. There’s something familiar about it in the classic sense, yet it is totally unique at the same time. This is my favourite pedal platform." The included Quad 4-way footswitch feature features optical OptoKick foot-switches designed by TheGigRig, and allows you to switch the Voice, Reverb, Tremolo, and FX Loop remotely. Alternatively you can control these functions via pedal switcher such as TheGigRig G2 or Boss ES-8 with our custom designed switcher interface. An on-board bias adjustment allows optimum valve management to be performed with ease, with absolutely no need to remove the chassis from the cabinet. We recommend that Artist 60 is paired with the Celestion GG12M-65 Creamback speaker as standard. Every aspect of the Artist Series’ construction is of the highest quality. From the eyeleted epoxy glass boards, to the thick aluminium chassis and British-made custom wound transformers, the Artist series is nothing short of world class, marrying classic and contemporary design and manufacturing techniques. All amps come with a 5 year limited warranty. 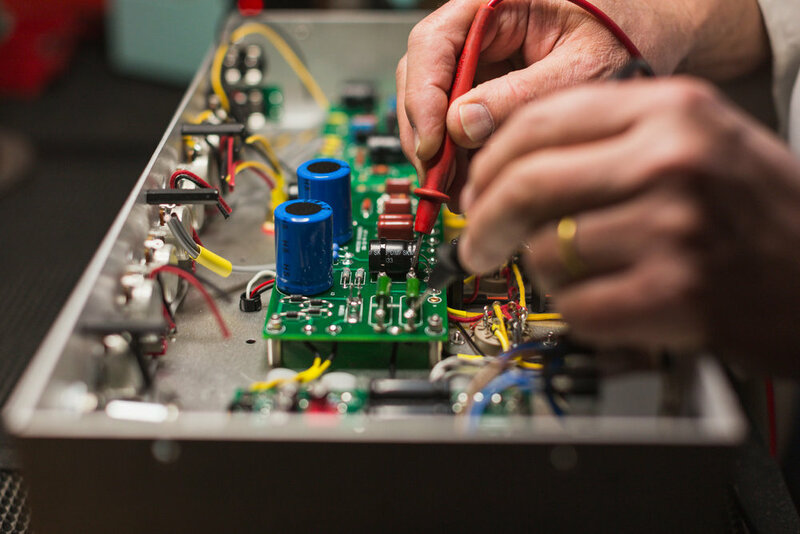 If you have an authorised dealer that stocks our amplifiers in your country, please visit them via our dealers page here. If you do not have a dealer in your country, you may order directly from us here. Shipping is available worldwide. Our hand-built speaker cabinets are the perfect match for your Artist 60. We recommend that Artist 60 is paired with the G12M-65 Creamback speaker as standard.